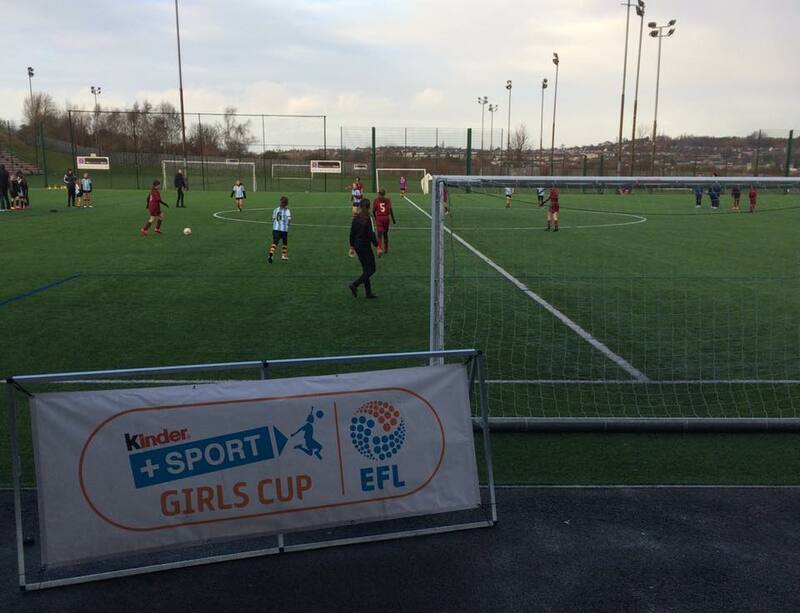 The Kinder + Sport Girls Cup Area Finals have taken place over the last month, with each school representing their local football club in a bid to go one step closer to Wembley and make the Regional Finals of the competition. 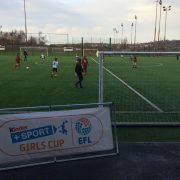 BIG WINS: Haslingden High School PE Faculty (representatives of Blackburn Rovers FC Community Trust) pulled off some fantastic results in the Area Finals, they won 6-1 and 7-1 in their first two matches and held their nerve to beat Wigan Athletic 4-2 in the final! UNLUCKY: Wigan Athletic were incredibly unfortunate to miss out on a Regional Finals place. 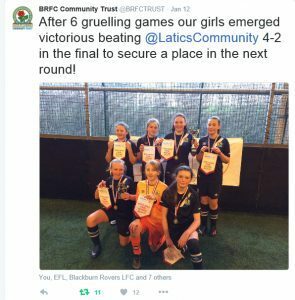 Despite winning all of their group matches including their fixture against Blackburn in the build up to the final, they lost 4-2 against Rovers in the decider! 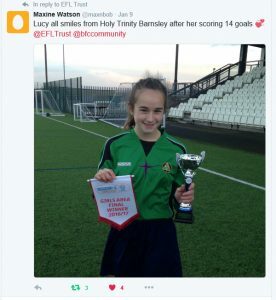 UNBEATEN AND PROLIFIC: Holy Trinity School representing Barnsley FC Community remained undefeated throughout the whole of the Area Finals and their top goalscorer Lucy goes into the Regional Finals having already bagged 14 goals so far in the competition! 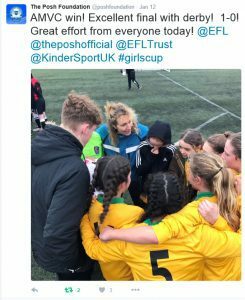 TEAM SPIRIT: Peterborough’s final at Nottingham was incredibly tense against Derby County. 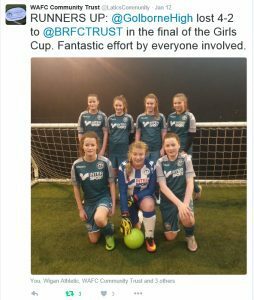 It seems as though their close team spirit got them through to secure a 1-0 win and go one step closer to Wembley. 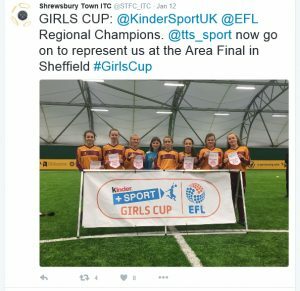 REIGNING CHAMPIONS: Last year’s EFL Girls Cup winners Shrewsbury Town, represented by Thomas Telford School, remained unbeaten throughout their Area Finals tournament with 5 wins and 1 draw. 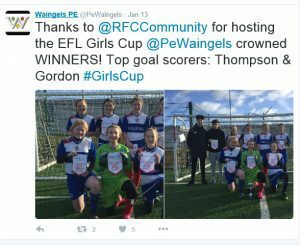 ON FORM: Top scorers Thompson and Gordon of Waingels PE department representing Reading FC play a key part in securing their place in the Regional Finals. 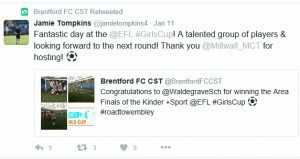 TALENTED: Waldegrave School representing Brentford FC’s coach Jamie Tompkins was full of praise for his players as they progress into the next round on the road to Wembley. 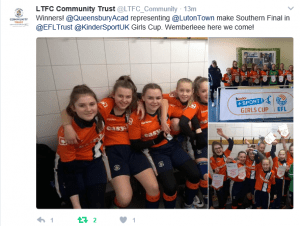 LAST GIRLS STANDING: A late goal seals it for Luton Town representatives Queensbury Academy, as they win 1-0 against Cambridge United in the final and claim the last spot in the Regional Finals. 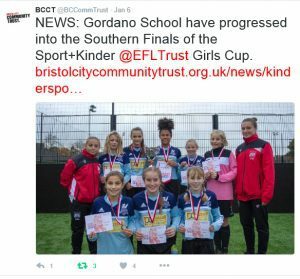 The two teams who are victorious in the North and South Regional Finals will proceed to play at the Grand Final at Wembley on 2nd April 2017.